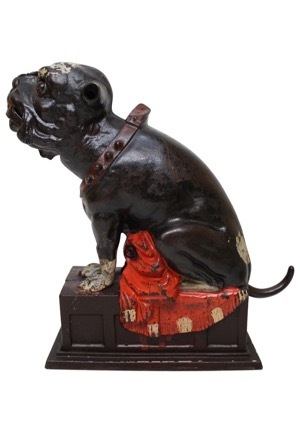 This cast iron bank stands approximately 8” high and depicts a bulldog seated on a chest, a red blanket beneath him and a thick cast iron studded collar around his neck. 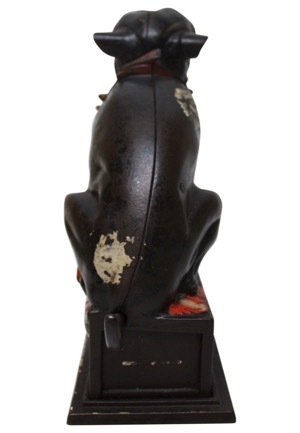 His tail acts as a lever for opening his mouth, tucking his head into his collar, and then "swallowing" the coin. 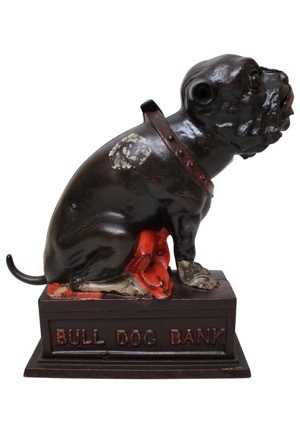 The base of the bank reads "BULL DOG BANK". 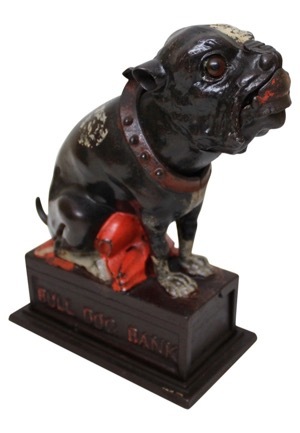 Engraved into the bottom is “1880” and what appears to be a patent number. There are multiple areas with paint loss and obvious signs of aging.